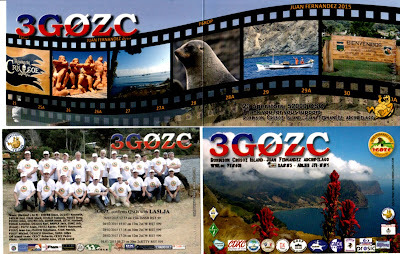 Qsl card from 3G0ZC Juan Fernandez Island. They was Activ from 24 Feb to 4 March 2015. This is members from F6KOP radio Club. Today they are on tour again from Leshoto 7P8C ..8 to 17 February.